Earlier today, Restore the Delta held a media call to discuss the impacts on specific Della communities, some which have not been told the public before, they say. On the media call were Barbara Barrigan-Parilla, Executive Director of Restore the Delta; Osha Meserve, with the Local Agencies of the North Delta and a farmland protection expert; third, Bill Jennings, executive director of the CSPA; and Colin Bailey, Executive Director of the Environmental Justice Coalition for water. Many of us are aware of the adverse and unavoidable impacts on Delta land that Osha Merserve will discuss a little bit later on, and we know that that’s all part of the Bay Delta Conservation Plan, but many of us are not aware of the impacts on Delta communities in relation to water quality and air quality. Turning to air quality, there are two major problems with the BDCP as it relates to air quality for the Delta region. First, there’s the question of air quality impacts on the municipality of Byron. The people with the significant and unavoidable adverse impacts which I will refer to can be found in Chapter 31 of the BDCP. The table itself begins at page 31-0, and the particular impacts I’m talking about can be found on page 31-13. Air quality impact #13 on that chart reveals the cancer risk for Byron residents as it relates to air quality. It states in the table that they must relocate sensitive receptors to avoid excess cancer risk from exposure to diesel particulate matter. Footnote 6, which is tied to that listing, elaborates on how land owners would have to accept DWR’s office of relocation or they would be exposed to this excess cancer risk. And to clarify, sensitive receptors in air quality talk means children, the elderly and people with specific medical conditions. The municipality of Byron is located off the Byron Highway. They refer to the Byron highway corridor in that footnote. It is a community filled with children; in fact, a fairly new state of the art school, a middle school, is located right in the region off the highway that would be impacted. Over 1000 people live in that municipality. And our question is what will make up the relocation assistance that they refer to in the footnote. Will DWR be buying homes? Will they be moving families to temporary quarters for ten years? We don’t think that’s a realistic alternative for families with children. It says the DWR will make the financial offer for the relocation offer, meaning that the water exporters like the Westlands Water District and the Kern County Water Agency will not be paying for this, for the economic pain that will be inflicted on these families within Byron. There will probably be more families that are classified as sensitive receptors than without when you add in populations in that area with children and the elderly. We also can’t help wondering what air quality will be up the road for people in Discovery Bay, which is about 3 miles away, and in Brentwood, a few miles in the opposite direction. If there’s excess cancer risk in Byron, we can’t imagine that air quality is somehow significantly improved in those other areas. It’s also very important to note that winds in the Delta move from the west to the east; air moves into the San Joaquin County across the Delta, and San Joaquin Valley Air Quality District will then be also experiencing this particulate matter from diesel exhaust, and San Joaquin Valley Air Quality District is one of the most plagued air quality districts in the country. The discussion on the cancer risk is not described in the same way in chapter 22 on air quality within the BDCP documents. In fact, in that chapter, the mitigation for poor air quality which does not identify this serious risk to Byron and the overall narrative, is to buy offset mitigations elsewhere outside of the Delta. To be further clear, there is no AQ Item 13 mentioned in Chapter 22. All references to Byron and the air quality chapter are labeled as AQ 3, and that’s a discrepancy between the two chapters which makes getting to the bottom of what’s happening difficult. Buying offsets from neighboring areas for any residents left behind who would not be relocated, we believe, is not a satisfactory solution to the intense air pollution that would be generated by construction at the Byron Pumping Plant. It’s another example of how the Delta counties will be made to sacrifice for the large agribusiness growers in Westlands and Kern County who would benefit from the water taken from the Delta. We will be left with an industrial eyesore, polluted water and air, and essentially an environmental wasteland which is not disclosed in BDCP outreach. The BDCP’s glossy brochures presented a recent community open houses certainly didn’t discuss these impacts. Burying impacts in footnotes in the 40,000 pages of documentation we think is simply dishonest. We see the same problems with water quality. Back to the table on page 31-13, public health item #2 discusses exceedances for water quality criteria with an impact on public health. I am simply going to discuss just two of them that you can find in the corresponding water quality chapter. We’re looking at increased bromide levels by 51% for the city of Antioch which is dependent on Delta water, and we’re seeing levels of bromide increases at 41% for Contra Costa Water District’s Millard Slough intake. Also we see increased chloride concentrations in the Delta for all beneficial uses, doubling in fact in frequency, so our question is water treatment plant upgrades would be necessary to make drinking water health standards at these urban intake locations. Without them, there would be an adverse public health risk. But who is going to pay for them? We haven’t seen any offers from Westlands, the Kern County Water Agency, or Metropolitan Water District to pay for these in-Delta water facility upgrades. They are paying for construction of the tunnels, which we don’t even believe they can afford without government assistance; that means either urban ratepayers in those districts will pay higher water bills for upgrades to protect their water quality, or if DWR pays for the upgrades, then the costs will be passed along to taxpayers. It simply does not make sense to build the BDCP, which will give water to one region by destroying another region’s water supply and then expecting the public to pay the mitigation costs. I do want to note that these are by no means the total water quality impacts regarding public health. There are questions about salinity for San Joaquin County water agencies, but I just wanted to simply touch on some of the public health connections to water quality. Thank you. Farmers in the Delta want to know why their sustainable farming operations will be destroyed to facilitate continued deliveries of water to areas of the state that aren’t suitable for farming. The Delta is one of the only areas of the state where farmland is not threatened by urban development, and every year, 30,000 acres of farmland is lost in CA, but in the Delta, the BDCP is the largest threat to farms and farmland. The Delta is the largest contiguous area of prime farmland in the state, with over 420,000 acres in crops, and that farming is compatible with protection of species and has not changed in the last 100 years. It’s important to note that Delta fisheries collapsed well after the export facilities were constructed, not after the reclamation of the Delta islands in the late 1800s. As for BDCP impacts, BDCP would directly convert about 5000 acres of prime ag land to build the tunnels. Once their operating, they are so large they will reduce water levels in the north Delta by at least a half foot and increase salinity so much that it will be difficult or impossible to irrigate crops. In addition to the land for the tunnels, there is about 140,000 acres of experimental habitat that this state and federal government are proposing to build over the next 50 years with public funds. They won’t say where all of this so-called habitat that is so large it will be visible from outer space will be located, and the cost estimates for BDCP claim that only about 40,000 acres of farmland will be lost. But the estimate failed to include the additional loss of farmland when BDCP takes 48,000 acres of farmland and restricts that farmland from growing permanent crops like those crops in the San Joaquin Valley being grown with Delta water. So there would be easements precluding putting in vines and orchards in these kinds of things in order to try and create habitat for birds and other species, but the BDCP doesn’t propose, and there actually isn’t any way to mitigate the massive impacts on Delta agriculture. Instead, they are suggesting economic assistance that won’t actually mitigate for the devastation. People should also be aware that the so-called habitat that would replace sustainable Delta farms is entirely experimental. These state and federal water projects were already required to create over 20,000 acres of habitat from the 2008 biological opinions that were just upheld in the 9th Circuit Court of Appeals. This habitat still has not been built and it’s not known whether it will be successful in assisting survival of the fish. So another 100,000 acres of additional habitat in the Delta is not the answer to the dramatic flow reductions that would occur once the tunnels were operational. The numerous independent scientists have explained that the claims of BDCP are wildly overly optimistic with respect to the potential benefit of this experimental habitat. What fish really need is water, not more habitat, and the facilitation of continued deliveries of water to toxic drainage impaired almonds in the San Joaquin Valley is not appropriate. Just last year, Westlands planted an additional 6000 acres of almonds. Permanent crops are obviously not suitable in an area that depends on imported wter and doesn’t have its own local wter supplies. Delta farmers do not want their farming decimated in order to continue permanent crops in other areas of the state. Overall we just need to be much more thoughtful in how we manage our limited water supplies and BDCP is not a thoughtful solution to our water challenges from an agricultural impacts perspective. As I’ve said before, California’s in a water crisis because the state has overpromised, wasted, and inequitably distributed scarce water resources, and that the Delta is in biological meltdown because the estuary has been deprived of more than half of its historical flow. It’s hydrograph has been turned on its head, and its waterways used as sewers. BDCP not only fails to address these issues, it will exacerbate them. Since the SWP began diverting water in 1967, Delta fisheries, striped bass, Delta smelt, longfin smelt, American shad, splittail, threadfin shad, as well as the native lower trophic levels that comprise the food chain are down to one to two magnitudes, that’s 90 to 99%. Water run, spring run, Sacramento and San Joaquin fall-run Chinook salmon populations are 5.7, 30, 25, and 30 for 1% of levels legally mandated by state and federal law. Now we’ve had several months to review BDCP’s environmental review documents which contain 20% more pages in the last printed editions of Encyclopedia Britannica. And working with our consultants, we developed hundreds of pages of technical comments. Using BDCP’s modeling conclusions, and I want to point out that independent reviews of their modeling reveal that they are using an outdated version of CalSIM that underestimates impacts, but using their modeling results, outflow to the bay will decline, water exports will increase, the residence time of water will increase in all Delta regions, which means that the concentration of pollutants and the time those pollutants interact with the environment will also increase. The survival rates of winter run, spring run, Sacramento and San Joaquin fall run salmon smolts will decrease from present conditions. That’s a recipe for extinction. Now BDCP claims that somehow these reductions in flow will be offset by increased habitat. However, those claims have been scathingly criticized – I would say ridiculed by the Delta Independent Science Board, the National Research Council, fish agencies, the State Water Board, EPA, and independent scientists as biased, wildly optimistic, exaggerated and not supportable. And of course, BDCP expects the public not the water contractors to pay billions of dollars for this new habitat; funding is not assured, habitat development would occur long after tunnels begin operation, and historically, habitat restoration efforts in the Delta have frequently failed. Further, BDCP’s modeling of Alternative 8 demonstrates that exports needs to be reduced by 1.3 MAF and outflow increased by 1.4 MAF. Alternative 8 is a modest version of the SWB’s 2010 Delta flow report which as you may remember is part of the Delta Reform Act. The legislature directed the State Water Board to convene a public proceeding, and use the best scientific evidence to recommend flows necessary to protect the public trust resources of the Delta. In other words, even with the tunnels, exports should be reduced to 3.1 MAF if we’re going to protect Delta fisheries and beneficial uses. Now I’d like to say a few words about the drought. According to DWR there have been ten multiyear droughts of large scale extent in the last 100 years, spanning 40 years. BDCP does nothing to protect against drought. The tunnels would be dry this year. Moreover, BDCP perpetuates a management system that guarantees reoccurring drought crises because it is predicated on allocating this year’s water based not on what is already in storage but rather on next season’s rainfall. Successive dry years will always bring us to the precipice of disaster. BDCP proposes to spend over $50 billion to protect us against a hypothetical earthquake that has never occurred in the Delta while ignoring drought disasters that regularly occur. And speaking of potential earthquakes, I would simply note that BDCP would only protect the first 30 miles of a 350 mile delivery system that is entirely seismically vulnerable. It fails to address the 80% of costs of 100% of lost lives that would occur within the Delta. Southern California has three years of water in storage, while water supply interruption is only likely to be 6 months to 1 year in duration. And that security is best achieved by local self sufficiency. But lastly, I want to discuss the endemic violation of law. To enacted laws and promulgated regulations mean anything. 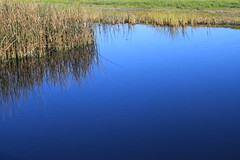 The water quality and flow standards in the State Board’s Delta plan and the requirements in the biological opinions were developed through extensive proceedings pursuant to state and federal law. Those standards already incorporate relaxed standards during dry and critically dry years. And drought’s not an emergency. We successfully litigated that in Governor Schwarzenegger’s drought water bank when the judge ruled that droughts develop over years and do not meet the statutory definition of emergency. Yet virtually the entire suite of Delta protections standards have been routinely ignored and violated for the last 30 years. This year the state board and fishery agencies are relaxing them without public process. Last year, they simply said they wouldn’t be enforced. As an example, Old River salinity standards protecting agriculture have been violated 868 days, and that’s one standard at one location, and it’s routine. In 1992 for example, standards were violated 218 times, and you can walk through each year since there. If laws and regulations mean nothing, how can we trust BDCP that proposes to build tunnels now and decide how to operate them alter through a back room adaptive management process that’s been criticized as vague and unworkable? We simply can’t. The Environmental Justice Coalition for Water is a statewide coalition of grass roots community groups, California Indian tribes, people of faith and other allied groups that serves as the umbrella for California’s water justice movement. We are dedicated to the proposition that all humans have a right to safe clean affordable water for drinking, fishing, recreation, and cultural use. Coalition formed 15 years ago around the CalFed process to address the lack of accessibility to the public decision making process and the lack of consideration given to low income communities and communities of color in that process. Here we are, 15 years later, and we must ask, has anything changed. Environmental justice is at its core, an examination of the role of power in the political system. It calls for the fair and equitable distribution of environmental benefits and burdens that are made through public policy. BDCP is by and large a result of an undemocratic, unaccountable process that is problematic from and environmental justice perspective. Indeed the perspective of anyone who thinks the people of CA should have some say in the most important decisions affecting the future of California’s water. The Delta is a shared resource but has been set up as a sacrifice zone while the benefits of the BDCP as currently envisioned would flow largely to large megagrowers who exercise undue influence in the political process. The BDCP will cause harm to Delta agriculture, worth $5 billion per year, and the farmers and farm workers its supports. The health of fisheries affects subsistence fishers and California Indian tribes whose very cosmology depends on the health of the salmon fisheries. These fisheries will be all but obliterated. There would be real problems for subsistence fishers exposed to mercury which would get worse under the BDCP with increased residency time and additional mobilization of contaminants already present. We already know the system of warning signs currently in place is ineffective at protecting the health of the largely immigrant populations on the Delta who rely on fishing for their sustenance and their families. The environmental justice impacts are equally notable for what they do as for what they would not do. The Environmental Justice Coalition for Water has championed the human right to water which the state adopted into law in 2012. Despite the impacts of the drought on environmental justice communities, the BDCP does not provide safe clean water to those communities who currently lack it; yet asks those communities to pay for it, including in Southern California. We ask where is the justice in that? It is simply not good for poor people. As Barbara mentioned, the BDCP would actually negative impact drinking water in several urban areas in the Bay Delta region. I would end by calling on the state to redirect the $50 billion that it would invest in the BDCP and pay to implement the human right to water for the millions of people living in California without reliable access to safe clean affordable water. This should be our first priority in the richest state in the nation in the richest country in the world.